Thanks to an imaginative and rather exceptional selection of precious metals combined with exquisitely dyed leathers from the elite supplier, Moore & Giles, The Constellation Series allows for a total of 18 separate button variations. Alongside the stunningly polished chrome of The Original Ming, this series additionally offers the choice of a 24-carat gold-plated exterior. The gold is lovingly applied, layer for layer, before being delicately buffed to reveal its unique and long-lasting beauty. The ultimate plating, however, is a refined, dark ruthenium, a platinum so rare that only 120 kg are extracted from the Earth each year. 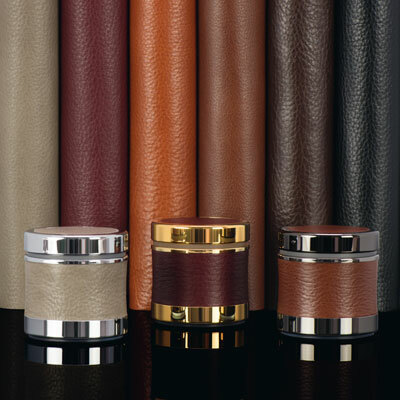 Once the decision regarding the casing has been taken, each of these pristine finishes may be matched with one of six discerning coloured leather sleeves. Whatever the choice and whatever the result, this customised Ming is sure to suit virtually any yacht interior. Easing the burden of choice. Founded in 1933, Moore & Giles is dedicated to designing and developing the most innovative and luxurious natural leathers for the high-end superyacht, aviation and residential interior design industries.